Jamie was born and raised in Pensacola, Fla. In 2014, she graduated with a degree in language arts from Pensacola State College. There, she discovered her passion for the skin care industry and began working as a patient coordinator for a prominent plastic surgeon. She also spent time as a mortgage critical document review specialist for Navy Federal Credit Union, honing in on her organizational and time-management skills. Before joining Seiler Skin, Jamie spent four years working at a skin care and plastic surgery practice in Pensacola. During her time there, Jamie underwent extensive training on various cosmetic procedures and medical-grade skincare products, and gained valuable experience serving in a patient coordinator role. She was a key member of the practice, ensuring that patients enjoyed their experience and achieved their treatment goals. Jamie also managed the product room and helped design medical-grade skincare product regimens for patients, a result of attending a number of product trainings and seminars. She also served as an event coordinator for the practice, setting up educational and promotional events for current and future patients as well as other practitioners. Since joining the Seiler Skin team, Jamie has undergone extensive further training under Dr. Seiler and his highly-trained staff to expand her knowledge of cosmetic laser, contouring, injection and aesthetic procedures. She has expanded her knowledge of our medical-grade skincare product lines through in-house training and product seminars. As Dr. Seiler fully believes in continuing medical education, Jamie also participates in all weekly and monthly ongoing educational and training sessions offered at Seiler Skin. Jamie is one of five patient coordinators at Seiler Skin. She enjoys building relationships with patients and helping them achieve their skin care goals. 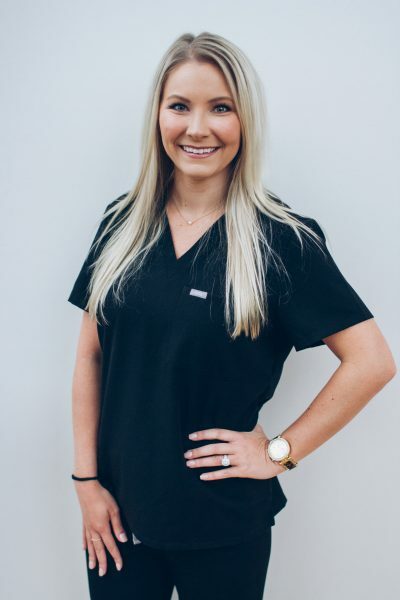 Jamie takes pride in her ability to answer skin-related questions in order to ensure our patients are well educated about products and procedures that will help them achieve their desired results. You will primarily find Jamie at our front desk where she greets and preps patients for their visit. She’s committed to ensuring a wonderful, individualized experience for each and every patient who comes into our practice! Jamie moved to Birmingham with her husband in 2017 to further their careers. Jamie enjoys traveling to Pensacola to spend time with her family and friends and go boating and deep-sea fishing. Jamie is passionate about traveling outside of the country to experience different cultures and lifestyles. She also loves exploring her new hometown and visiting many of the well-known Birmingham restaurants and concert venues.